The new-year is truly ‘up and running’ and NLA is ready for the challenges that 2016 might bring our way. The economy is not in a good place, yet NLA has a number of exciting projects starting up or going into the implementation phases. NLA was appointed to guide the open space development of a variety of small park projects associated with Savanna City. The parks would all be coordinated in terms of an approved Open Space Master Plan that had to be conceived. 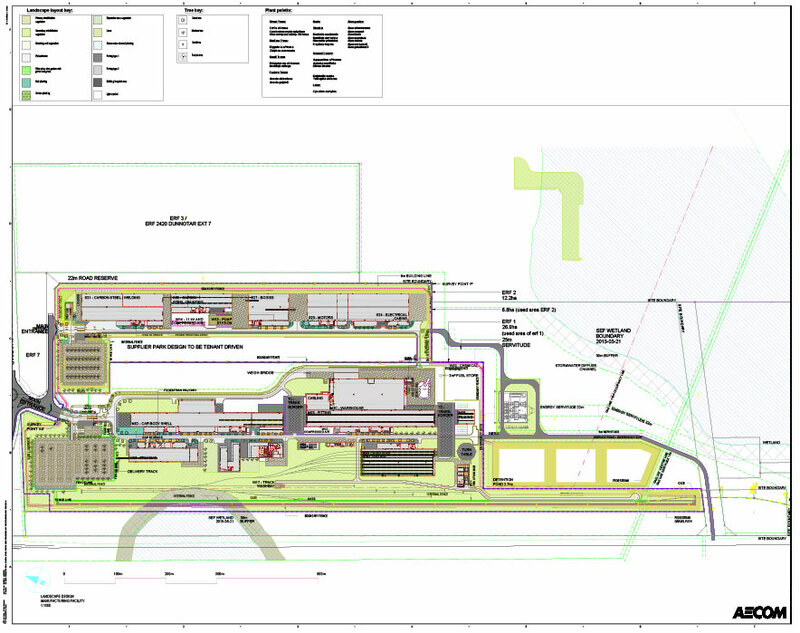 The first phase of the project is currently going out to tender. The IRPTN landscape and environmental upgrade in Ekhurhuleni. The IRPTN project involves all modes of public transport i.e. BRT, busses, rail and taxis intends to consolidate and rationalize the public transportation system to create a network that links all services within and into the surrounding areas of the city. NLA are appointed as the landscape architects and environments consultants for the project. The focus of the design work is on the public environment upgrade, including paving and planting along the routes and depots. We have also designed planting to mitigate environmental impacts associated with some of the infrastructure. The tender for the first three phases is about to go out. The landscape design associated with the world class Gibela Manufacturing Plant located in Dunnottar in Ekurhuleni, has been completed in Association with Aecom and will soon be going out to tender. The design aimed at allowing for the creative emphasis on sustainable landscape design, which was integrated throughout the project in planting, paving, irrigation and stormwater management. Once approved the project will unleash a series of landscape interventions that will be the responsibility of NLA to design and implement. Within this corridor and associated with the Wemmer Pan, NLA and Iyer Urban Designers have recently completed the final draft of the Wemmer Plan Urban Design Framework. This practical document has been conceived to ultimately unlock development in the Wemmer Pan Precinct. Driven by landscape urbanism theory the framework considers the importance of landscape (the pan and its feeder drainage lines) as a primary ordering device in the strategic planning of the precinct and suggests that the recovered landscape will continue to develop as a driver for economic, ecological and social regeneration alongside the proposed BRT system proposed for the area. Related to this project, Graham was an invited guest to the international Sustainable and Smart Built Environments (SASBE) conference held in Pretoria in early December. Using the Wemmer Pan Framework as a case study Graham discussed the importance of understanding the role that landscape can play is enhancing and attracting development to areas requiring regeneration. Another project associated with one of Johannesburg’s landmark dams, Westdene Dam, is currently in its first phase of development which is about to go out on tender and follows IYER’s urban design framework and NLA’s Landscape Master Plan for the dam and its associated open space system. NLA have been extensively involved with Non-Motorised Transportation Networks (NMT) over the past couple of years. Recently we were appointed to design and manage Ekhurhuleni’s first NMT route as part of the Germiston Renewal Project (GEAR 2030). Another significant project is NLA’s involvement along with engineers Chris Brooker and Associates and Fourth Element Consultants, in the City of Johannesburg Storm Water Design Manual. The manual will focus on the benefits of surface water management and establish the Department’s responsibility for the planning and design of urban areas. The premise is that surface water management can be integrated into the design of urban areas, to protect the environment and create high quality places for future generations. A project carried out by our Pretoria office is currently being considered for implementation. This somewhat controversial project, the Caledonian Inner City Park in Tshwane has been approved by the Council and awaits the outcome of a Heritage hearing as well as a public forum. The park design involves the conversion of the existing Caledonian Grounds into a multifaceted place comprising, a major commons area, skate park, restaurant, retention of the heritage pavilion, outdoor gym, play area replete with swings and water play area, picnic areas and a large wetland / water feature (which circulates the stormwater harvested from the site, which aspires to a zero run-off policy). The design focused on the heritage components and the site’s existing contours as point of departure, to create a unique connection to the park’s history and place it its urban / African context. 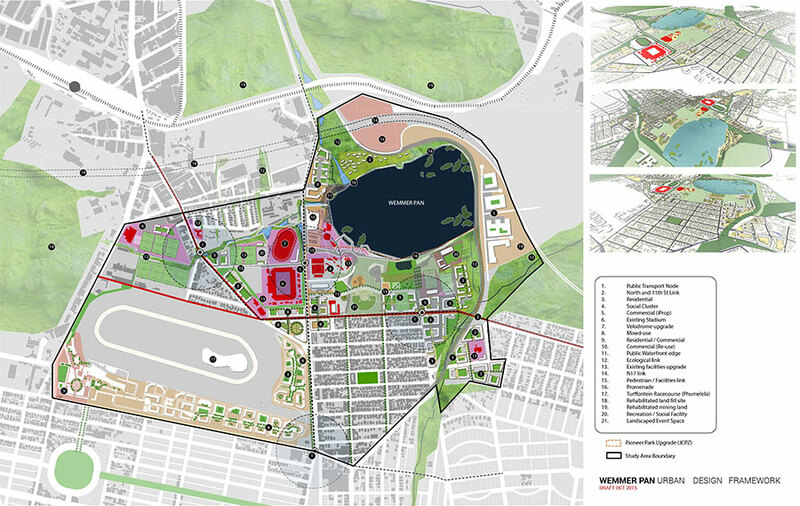 Using the original cycle track and the later straight lines associated with the current soccer pitch and pavilion as form generators, a contemporary layout emerged with a programme that responds to the urban needs of a newly ‘landed’ demographic. Within this new hybrid urban space is much promise and potential for Tswhane’s Inner City revitalization initiative. NLA compiled the EIA, Water Use Licence Application and Environmental Management Plans for both the route alignment and the bus depot of Phase 1A and 1B of the IRPTN project already mentioned above. NLA were also responsible for the recently completed Environmental Impact Assessment (EIA) of the Westdene Dam and will be responsible for the environmental monitoring during implementation of the project. NLA compiled the generic Environmental Management Programme (EMPr) for Ekurhuleni Metropolitan Municipality (EMM). This generic EMPr will be used by the various Departments as part of the planning, construction, operational / maintenance and rehabilitation of projects. Other projects include the environmental monitoring of the new oxidations ponds that will be constructed at the Kareekloof Nature Reserve, Suikerbosrand as well as the environmental monitoring for Country Place Extension 9. 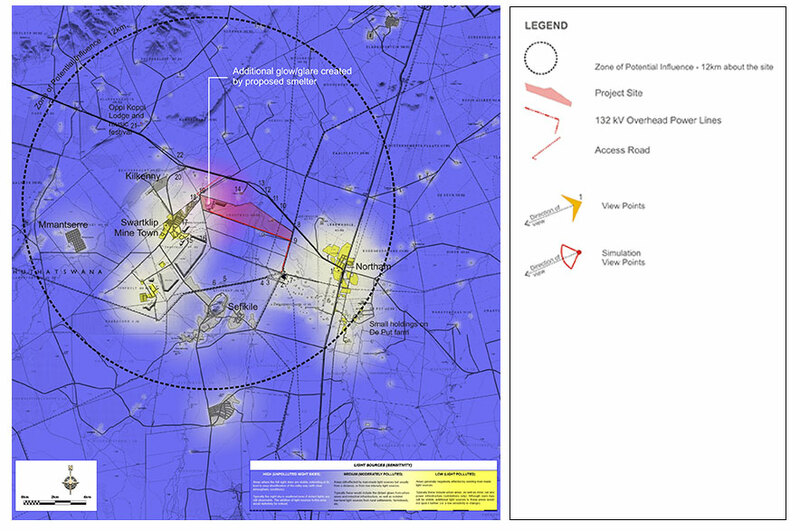 The Environmental Impact Assessment for Vaalbank Residential Development in Magaliesburg and the Appeal Process for the Diepsloot East Residential Development. The downturn in the economy and particularly the mining industry has negatively affected this work; however NLA remains involved with a number of projects around the country. These include work on power stations, power lines, mining operations, a smelter plant and an environmental ‘upgrade’ (wetland) with the potential for more solar related work. Towards the end of last year Johan attended the Green Star SA Accredited Professional Course that ultimately led to his certification by the Green Building Council of South Africa (GBCSA). The course trains professionals in the use of the tool and how to practically apply it to projects. If a project team includes an Accredited Professional, the project will receive two points towards its Green Star SA rating. Congratulations Johan! In the past couple of years NLA has made a conscious effort to minimize the draw on resources of our Johannesburg office. To this end we installed water tanks in 2013 primarily for irrigation use. This has reduced our water consumption by 50%. In May 2015 we installed solar panels to eliminate dependence on ESKOM power. The office is now able to continue full function during power interruptions and load shedding. To date our consumption of electricity has been reduced by 41%. In 2015 NLA sponsored a full first year bursary for Nazeera Matola who is studying Landscape Architecture through the programme at the University of Pretoria. In 2016, Nazeera will once again be sponsored with a full bursary in order to complete her 2nd year. NLA will make a second bursary (tuition only) available to a previously disadvantaged individual seeking to study landscape architecture or a related field. To apply for a bursary, students can contact Candice Luus (HR Manager) at candice@newla.co.za to request an application form. Selection criteria for bursaries are closely aligned with NLA’s commitment to employment equity. Over the years NLA has done a variety of Pro Bono work. Most recently we were involved with the HeronBridge Training and Resource Centre (HTRC), which is located north of Johannesburg on the Jukskei River. The Centre focuses on the relationship between sustainability and the upliftment of people and communities. Our involvement was in the initial site planning and then the actual building of the project. Today the Centre is thriving and providing much needed services to future teachers from disadvantaged communities through education and training.